goat milk soap you are going to love! 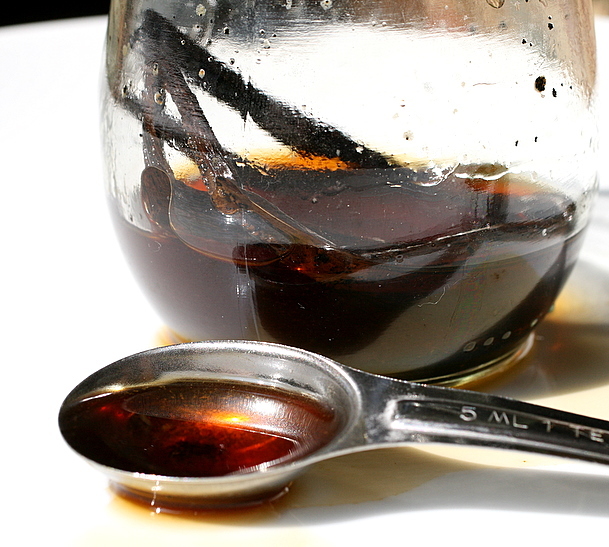 For lovers of Vanilla, our blend of goat milk, sweet honey and vanilla beans will have you in raptures. The perfectly intoxicating fragrance of rich vanilla in it's most elegant simplicity. Wonderfully bubbly and decadent with natural and nourishing ingredients. Lavish yourself with this relaxing aroma during your evening bath! This 4.5 oz. cold process goat milk soap is carefully handcrafted of goat milk, olive, coconut, palm kernel, soybean, sunflower, cocoa butter, shea butter, beeswax, honey, vanilla beans, vanilla. All Things Herbal soaps contain nothing Baaah-d ever. We use all-natural ingredients, sustainable 100% plant oils, goats milk and lots of honey in these honeycomb topped bee~autiful bars! 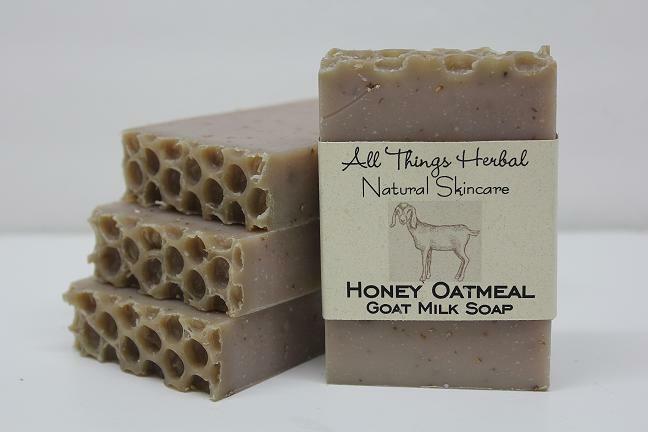 A lightly scented soap that smells of all the oatmeal, milk and honey that went into this bar. Rich and creamy handcrafted soap that is Good for Your Skin! A perfect soap for dry or sensitive skin. 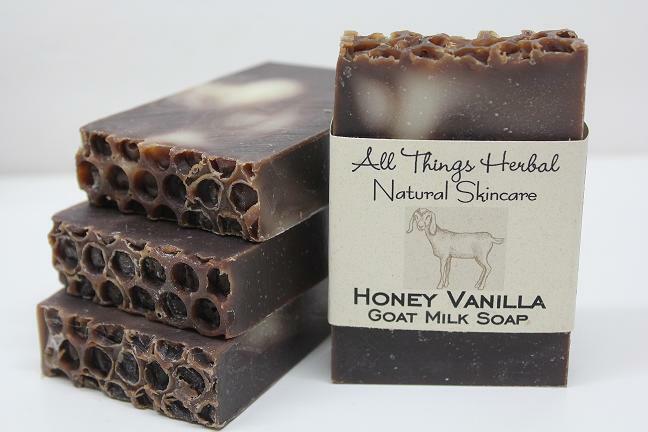 Fresh goat milk, gives this bar great healing properties while the honey, beeswax and shea and cocoa butter moisturize and the oatmeal helps itchy skin. Gent ly exfoliating. 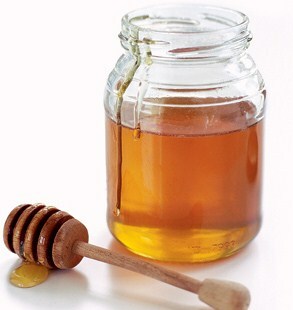 Honey is a natural humectant, helping keep the skin hydrated and fresh. It moisturizes, leaving skin soft and supple. It's also antibacterial and a good source of antioxidants. This 4.5 oz. cold process goat milk soap is carefully handcrafted of goat milk, olive, coconut, palm kernel, soybean, sunflower, cocoa butter, shea butter, beeswax, honey, organic oatmeal. Our Goat Milk Soap is Minnesota made from Minnesota agriculture. We purchase localled produced sunflower oil, soybean oil, honey, beeswax and fresh goat's milk.